You can savour biscuits once again! 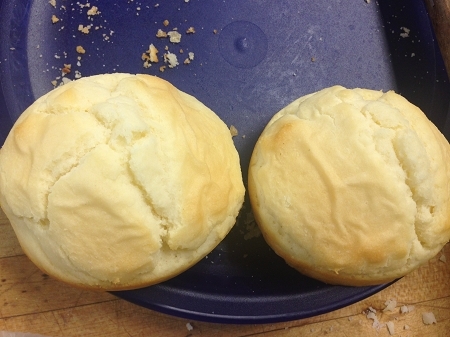 These fluffy biscuits will have you devising new ways to eat them. Try them with gravy, drizzled in honey, or make a great breakfast to go by making a sausage, egg and cheese biscuit. Not Always Available for purchase. Allergens: Egg, Corn, Dairy.